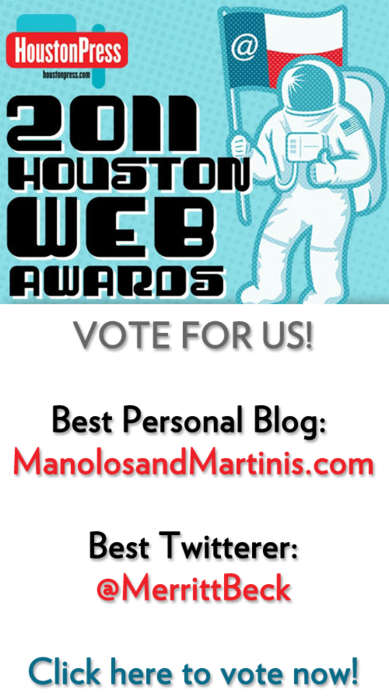 CLICK HERE to Vote for us in the Houston Web Awards! Thanks for your ongoing support of Manolos and Martinis!! note – you don’t have to fill out every single category… just fill out Manolos and Martinis for the “Best Personal Blog” category and you’re done!